As part of a new push to go green in our last year of existence, I thought I would go green with some reels that fell into the box of gear that will be tried and tested this spring. As I have started looking toward catching larger fish, I also find the large arbor reels very efficient at picking up slack line – the easier they spin, the less effort devoted to that as well. What really did generate some small upgrades for me was drag, or the loss of functioning drag in my Orvis BBS reels. I don’t make a habit of cranking down drag, or leaving it cranked down when I put my reels away. 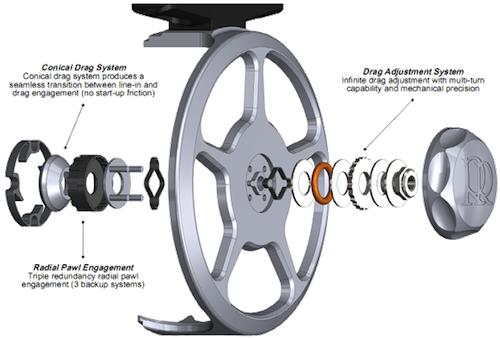 I back off all my reel’s drags – no matter what kind they are. That habit was ineffective on the two Orvis reels I have in key sizes that I use very often. So often in fact, that I knew I would need something to replace them should I ship them off for repairs. 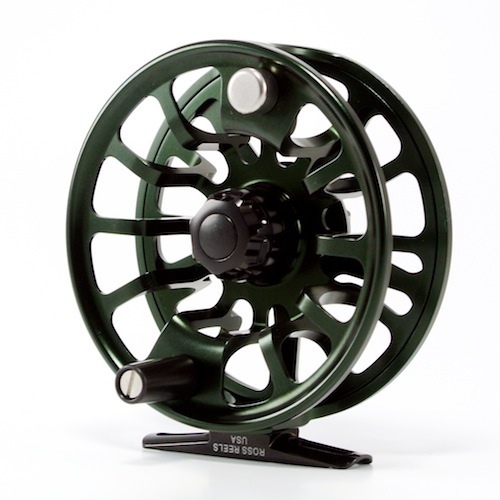 And the silver finish on the BBS reels has to be a carp deterrent – it’s so bright and reflective. Before these reels came along, I was even considering getting into the anodizing business – just so I could get the shiny off stock store bought reels! 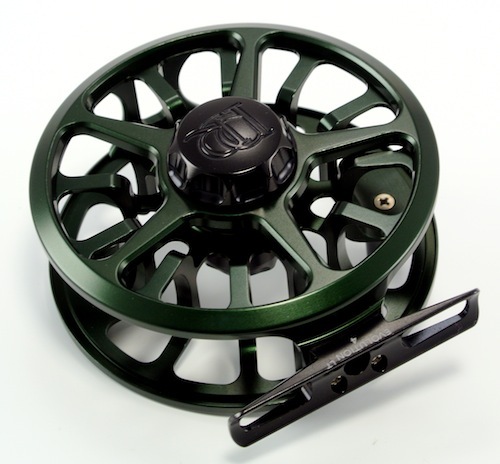 Ross Evolution LT4 Reel – Photo Texas Fly Caster. First up is the Ross Evolution 4 reel. We have all read those first gear(head) reports with the second-by-second, “I waited for UPS, I opened the package, it was gleaming like a tarpon’s a&&, etc …” So, I will spare you the titillating description, and more importantly get back to you with performance updates as time moves on. The Ross is green. The finish is good, but a little more opaque than I like. It must have pretty darn good bearings because it free spins quite well. 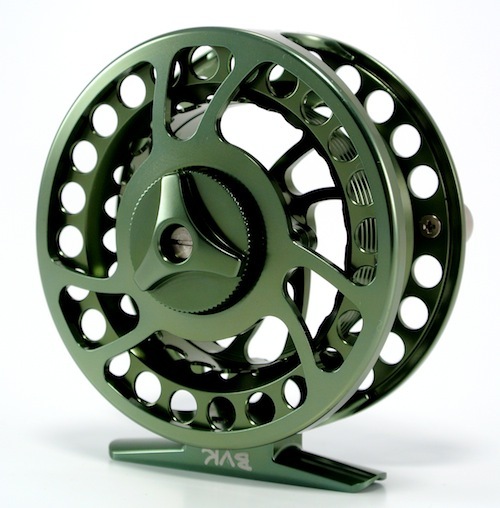 This reel is less of a wide/large arbor, and more of a straight up large arbor reel. For future reference, the drag is extremely smooth (with extra fine incremental clicks) and kicks in promptly and progresses smoothly as the drag is tightened down. Release of the spool is push button, with a smooth movement and solid clicking sound. Clean, tight inside and out. The Temple Forks BVK reel fell into my hands as a trade in on an extremely disappointing machined Prism reel. What a disaster that reel was, after using it only a hand full of times. Being bulked up in the larger reels, I was hoping for something to fit my TFO 4wt Finesse, and the reel prescribed to me was the I, and of course in green. I appreciate, as always, the willingness of the guys at TFO to walk me through the aisles and show me the options. Fit and finish are bright green, and the machining is more square-edged than the Ross reel, which makes for obvious style differences. The BVK reel feels good in hand, the attention to details like the TFO logo on top of the frame and the “1” and “BVK” on the stem, all add a touch of class to the reel. Inside, it looks something like the same setup on the Orvis BBS reels. The spool has a small spring loaded swing-arm-like release that is easy enough to find and engage. Removing and replacing the spools is smooth, and like the Ross, there’s no need to visually match anything up to get it to lock on. Then, there’s the drag … the first twenty-two clicks from zero drag do the same thing: nothing. Once the drag does kick in, there are plenty more clicks that actually mean something, and each one has value. It will be interesting to see how this reel handles the real world of fly fishing, but I am pretty optimistic that it will turn in good results. I kind of wish they would have covered that darn slotted screw in the drag knob with a little cap or something though. 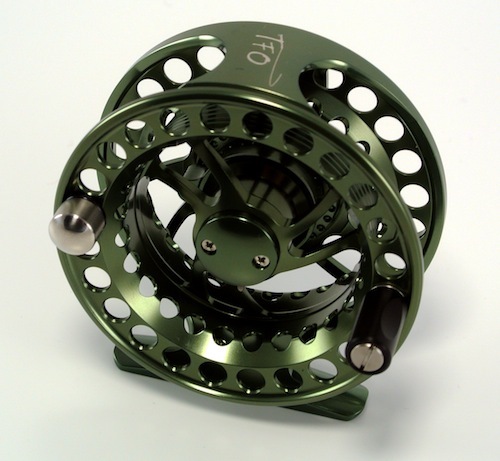 Read more details about the TFO BVK Fly Fishing reel. BVK Machined aluminum reel by Temple Forks Outfitters has interesting details. Photo – Texas Fly Caster. Read more about the Ross Evolution LT.